If you are looking to Post some quick content, this is a easy, foolproof way to do exactly that! 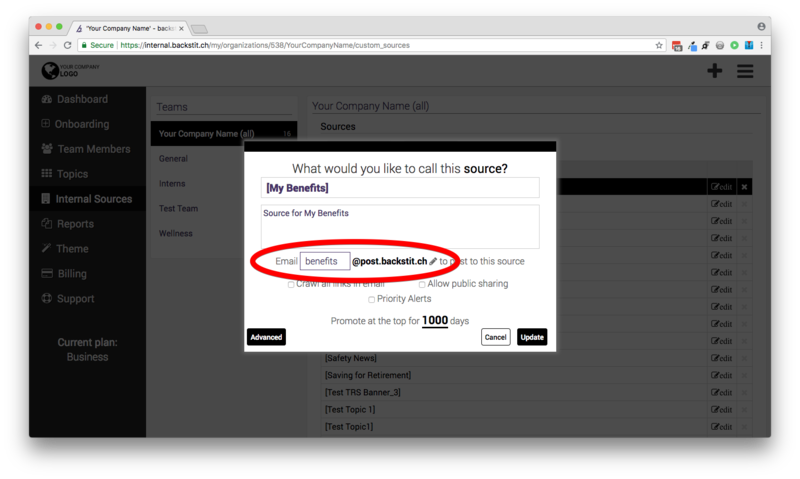 First, click here is you do not know how to find a Source's email address. Now, here are some tips and tricks on how to use that email to post your content. Pro Tip: if you want to edit the original email address, just click the [pencil] icon. 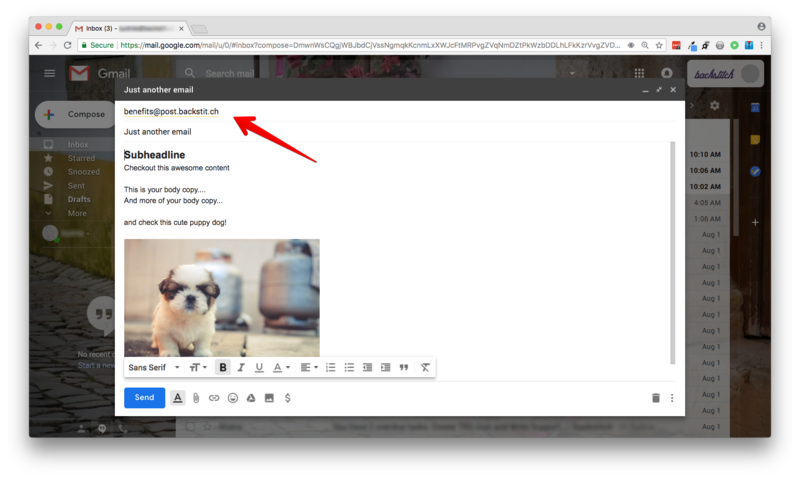 After you copy the email address, from the backstitch app in the correct Source, return to the email you want to post, and paste it in your "To" bar. 4. All text in the body of the email is shown in the Post. Pro Tip: Remove email signatures before sending. 5. For graphics to appear in the Post, they must be images pasted in the body of the email. 7. Attachments in the email will show as files to download.